Here's just a sneak peek for you here though. You can see the whole card over at the blog. I do hope you join in the challenge going on right now. Click HERE and see all the details. You can also see lots of fun projects on the Twine It Up! with Trendy Twine Facebook page so I hope you join the group over there. 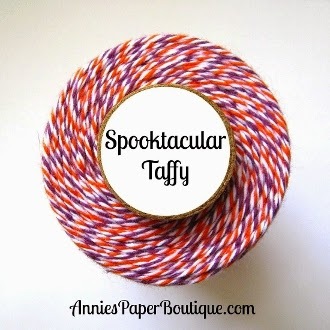 And last, but not least, stop by the store, Annie's Paper Boutique, for all your twine and packaging needs! Great sneak peek! Your whole project is adorable! 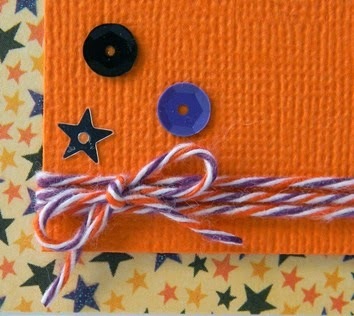 Such a great sneak....LOVE this twine color.....and your finished card is AWESOME! Adorable card, I just love how the twine coordinates perfectly with your card! The background paper you used is gorgeous too!